As we all know, DVD is inconvenient to take. We won't carry our DVD all time for our fond audio. So we need something to help us to rip it out. Besides, it is also vulnerable. Maybe a stroke can scratch it. To protect it, we need to use it carefully. How can we get a way for more convenient using? Beyond those, we also need a ripping tool to extract music from DVD to standard audio formats like MP3. So can we share our favorite audio easily and quickly with others by apps. Here are 5 most useful and powerful DVD audio ripper for you. It will show you features of these ripper and detailed steps of using it. Just choose the best one to use. As the ACE of the Aiseesoft, Video Converter Ultimate can not only convert DVD audio into other formats, but also enable users to manage it. Useful, powerful, and wonderful! 1. Load DVD disc/DVD folder/IFO files to convert. 2. Edit videos and audio before converting DVD files. 3. Almost all output formats of files to select. 4. Convert audio and videos with high speed and quality. 5. Adjust files to many mobile devices. 6. Supporting reviewing files before converting. Only convert files no more than 5mins for free trial. The DVD ripper for Mac of Tipard is the professional software for DVD audio converting. With its 6x faster speed, you can extract DVD audio with excellent quality quickly. It is the professor in this area. 1. Handle protected DVD well. 2. Multiple options for export formats, like flip, watermark. 3. Clear interface and friendly to users. 4. Customize output files before converting. No technical support or upgrade for free users. Being a newborn in extracting DVD audio, it also has spot points. Except converting and editing DVD audio, burning DVD is added into its functions. But some users rarely use it. 1. Convert DVD to more than video formats. 2. Faster conversion speed and zero quality loss. 3. 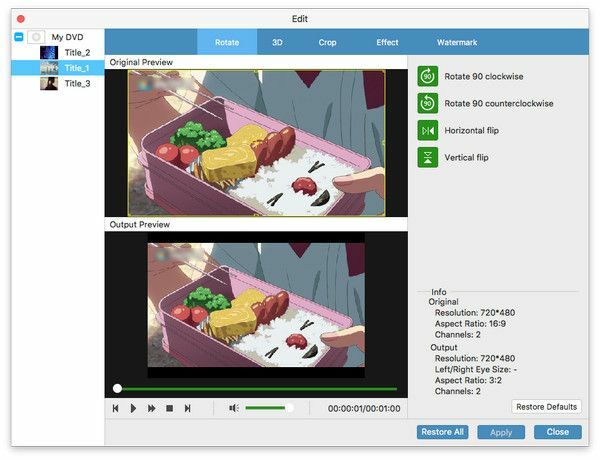 Edit videos and audio with its built-in video editor. 1. No word to show the function buttons. 2. Interface can be old for some users. 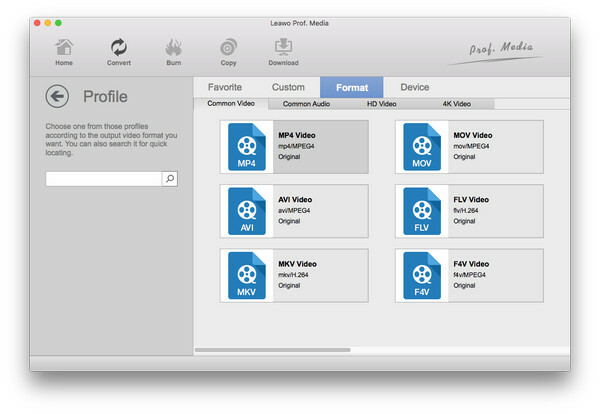 This one is a part of Leawo video converter ultimate. Thus, its functions are not very comprehensive. But, in any case, it can meet your basic needs of ripping DVD audio. 1. Converts DVD on Mac in 180+ formats. 2. 100% Compatible with the Latest Mac OS. No way to convert encrypted DVD. Extra clicks for using other features. It is obvious that MacX DVD Ripper Pro is just a program for converting on Mac, from its name. For its single-minded, users can extract DVD audio without any quality loss on Mac. 1. Make videos fit many mobile devices. 2. 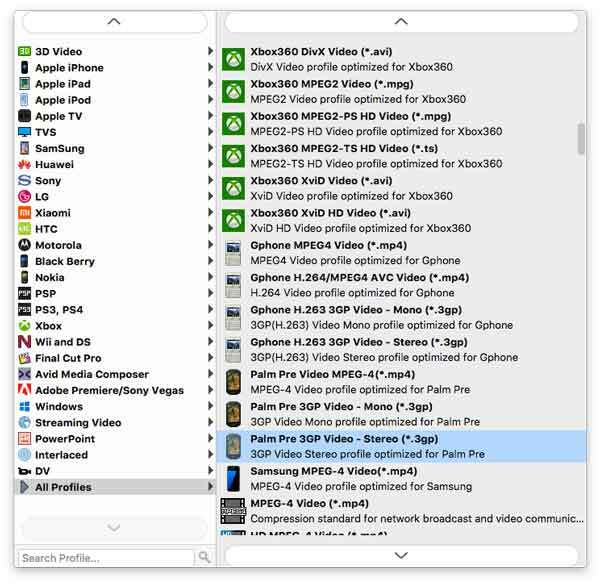 Convert almost any video and audio files. Lack of full editing features. No changes for the loaded DVD videos' format. It gets a slow ripping speed. 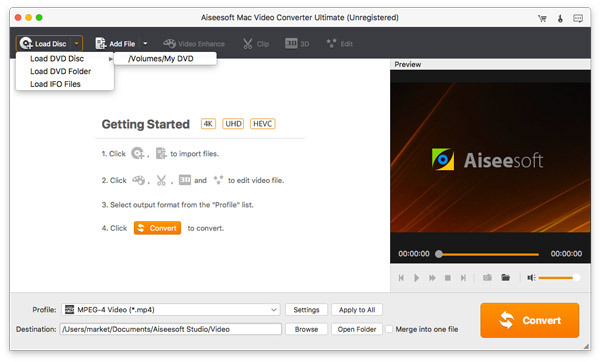 Step 1 Free download the Aiseesoft Video Converter Ultimate for Mac from Aiseesoft official page to your Mac. Install and start the software. Step 2 Put your DVD disc in Mac. 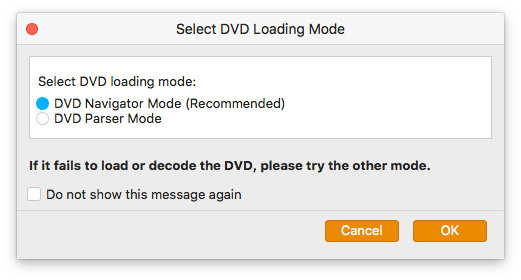 Tick "Load DVD Disc" of "Load Disc" in the interface. Besides, you also can select "Load DVD Folder" or "Load IFO Files", if your Mac has them. After that, the pop-up window will show you two loading mode, parser mode and navigator mode. Choose one you need. Step 3 Before you convert the files, you can click "Setting" at the bottom of interface to select the output codec, bitrate, frame rate, etc. 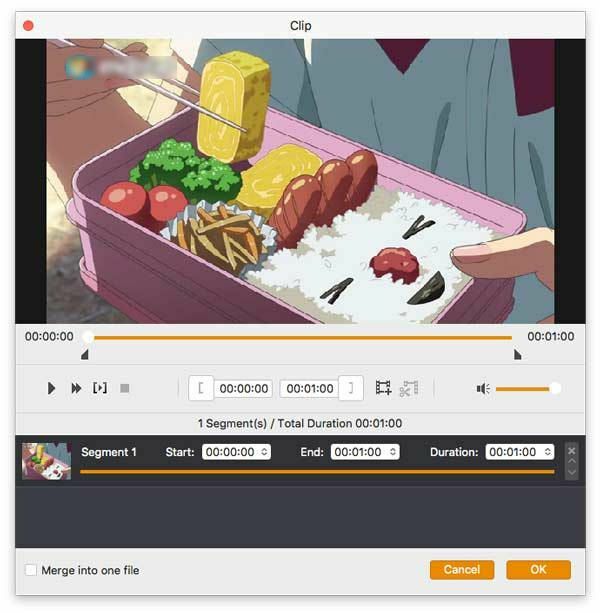 Moreover, for the output effects, you can click "Clip" on the top of interface to trim the audio or merge audio clips into one file. After you have done your personal settings, select the output format, like WMA, MP4, AVI, in the drop-down list of "Profile". then click "Convert" to begin converting. Here we come to the last part of this page. We have listed 5 DVD ripper and shown you reviews and download. Through the above, we can see that, whether in terms of output formats and data source or in term of other addition functions, Aiseesoft Video Converter Ultimate for Mac is better than others. Just make the best decision according to your needs to find the most suitable DVD ripper by yourself. Hope it works for you. Where to download QuickTime for Windows? Here you can still download QuickTime for Windows, and find the top 12 list of QuickTime player on Windows 10/8/7/XP. When burning DVD, do you want to add subtitle and audio track? Here I recommend you a easy-to-use software - Aiseesoft DVD Creator. With this software you can add subtitle and audio track from your local file to the video you want to burn into DVD.